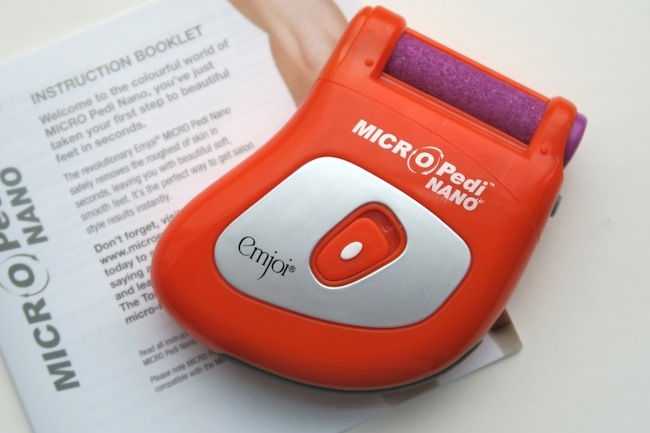 I raved about the Emoji Micro Pedi device earlier in the summer; it’s the perfect pedicure tool for people who are lazy, time-poor or just…want to get really smooth feet. Forget sawing away with one of those manual foot files, or taking out chunks of heel with a glorified cheese grater: this blitzes away dry skin in seconds. 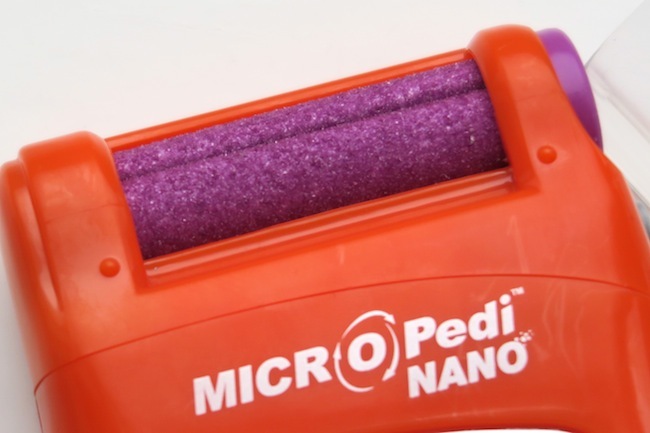 The Micro Pedi Nano (pictured) seems to do much the same job as the original gadget, except that it’s more ergonomic, fitting nicely into the palm of the hand rather than being a longer, less compact shape. It also comes in a few bright colours, if you’re into that, and arrives pre-fitted with an “Extreme Coarse” roller which could – quite frankly – be used to strip paintwork from a battleship. My feet went from being hard and rough to completely smooth and soft in under a minute. Obviously, as with the original device, tread carefully at first – it’s easy to overdo things – and be prepared for the vast amounts of skin dust that will cloud the air. Best to do your foot-de-skinning over the bath so that you can rinse away the debris. That or in the garden, but I’m always wary of using small, buzzing gadgets outside of the home. What would the neighbours think? The Micro Pedi Nano is £29.99 from Amazon here – the original device, in pink, with loads of extra bits and pieces, is also £29.99 and that’s here. Which to go for? The Nano is slightly more comfortable to use, the pink set is far better value for money. Both brilliant.